8 In some cases, are graded "not passed"
Certification in the traffic police was invented not for the, to make life difficult for future drivers. The task of testing – test, as prepared by the student to the control of a vehicle in an urban setting. Contrary to popular belief, exam in the traffic police on the theoretical part (the rules, Markings, road signs) – simple procedure. Only need to take responsibility for the preparation of, learn the rules, to master the subtleties of, that will pass the test without difficulty. First of all, this is the exam in the GIBDD on the theory. After successfully testing the students are sent to a special area to confirm their skills on the basic exercises at the wheel. The last stage – departure, together with other students, instructor, inspector on the streets to pass driving. exam in the traffic police is carried out in one day. On failure at some stage, Retake will take place only on this part of the test. Argued, that inspectors are too demanding, and tickets to the theory too complex. Do not rely on such rumors, important to prepare well and deliver error-free once perfectly. AT 2014 year in Russia came into force RF Government Resolution 24.10.2014 N 1097 "On admission to the vehicle control", as well as the rules of the examination. According to these documents, all exam for a driving license shall not exceed 4 hours. It was also adopted changes to the training program for the, who want to expand rights and the right to receive an additional category (motorcycles, scooters, ATVs, trams, trolleys and other). This document mandatory requirements to educational institutions for the training of drivers have been fixed. They touched equipped classrooms, hardware circuits, requirements for driving school. 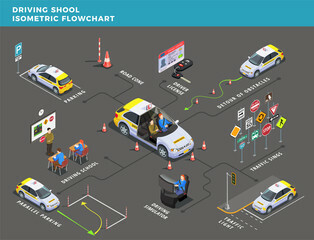 According to this regulation, each driving school must obtain from the traffic police certificate of compliance training programs. Passing the exam in the traffic police underage citizens (to 18 years old) It carried out with the permission of one of the legal representatives. Driver's license can be obtained not only in the traffic police department, but in MFC (multipurpose center). There you can get a waiver to obtain documents. Foreigners are allowed to exchange their rights to Russian. Mandatory conditions - exam in the traffic police and for medical help. Now it is possible to postpone the theoretical test of the traffic police unit in a driving school with the appropriate accreditation training center. Traffic police inspector is necessarily present at the same time, He monitors the correctness of the procedure. Now the exam in the traffic police can not be conducted in one inspection department, and in several departments, depending on the convenience of the student. driving experience (no less 5 years old). Self-preparation banned, Only those can take the exam, who studied at the driving school. The activities of the training center have to be licensed. Without this document, the school has no right to hold classes. Explore the driving school ranking among other companies. It is recommended to choose, if the training center is in the top 10 best institutions. Hours of training center on the market (the best option – more 5 years old). Studying time. This point is especially important for students, who will be trained, without giving up the basic work. Number of hours training course. certainly, learn driving from scratch all over 5 school hours is unrealistic. Number of hours training course must be at least 40. Required hours for practical classes. Often the determining factor is the choice of driving schools proximity of its branch to the place of work or place of student accommodation. What the cost of studying. Currently, the average price of learning to drive is 27000 rubles. It is important to find out, as the amount paid (all at once or "50/50" system. The costs for fuel and lubricants often are not included in the course fee. Still, this point needs to be clarified before the conclusion of the contract for training. Mark's car and the choice of instructor teacher. Modern driving school regularly update training park vehicles, watching the popularity ratings. Another important point is the number of simultaneously studying future drivers. Of course, if a group is 10-15 person, count on an individual approach to learning does not have to. The last criterion is the average percentage of students, who pass the exams on the first try. The optimal level of over 60%. 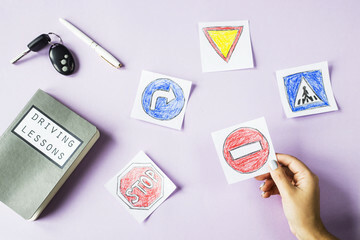 How to find the right driving school? First of all, examine information on existing training centers in the city: Advertising in print media, on television and on the Internet. Many people prefer to rely on the experience of their friends, a driver's license. The main requirement – the presence of the accreditation of the institution. Check out this rather simple. You need to go to the traffic police website and request the necessary information. Before you contact the training center, you need to carefully examine the legislation. Particular attention is given to exam time, order peresdachy, Responsibility for violation of traffic rules regulations. The course of study must be at least 84 hours. Base unit. Here, students receive basic knowledge on traffic rules, Regulatory Compliance, psychological aspects of driving. They learn how to provide first aid to anyone, who had an accident, attentive to pedestrians, children and cyclists. The second block of training is a special course. Overall – this is a training system for those, who has a driver's license, but who wish to obtain an additional category. For those students passing the exam in the traffic police on the base rate is not provided. They study only those materials, needed. According to the legislation in the examination before the main traffic Driving conducts internal certification. Thus held control of knowledge of theoretical part and obtained during training of driving skills. Pre-testing is carried out on the territory of the training center. It is fully corresponds to the requirements of traffic police, but it has a familiarization character. permission from a parent or guardian in the case of, if the student is under 18 years old. Documents examined and appointed date and place, where will be held the theoretical and practical part of the exam. Photo (color or black-and-white), size 35*45 mm. Plastic driving license are 2000 rubles. This amount can be paid, and the traffic police office. 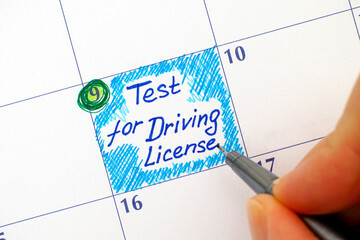 To obtain a driver's license, valid abroad, pass examinations in the general order is not necessary, documents can be issued on the basis of the already obtained a driving license. Validity of international driving permits – 3 of the year, can not exceed the validity of Russian driver's license. Tickets for letting SDA exam in the traffic police for category B, BUT, M include 800 issues. There is a separate set for other categories. Successful exam in the traffic police – the correct answers to the ticket out twenty random questions, that the selected system. Respond to them can be freely. 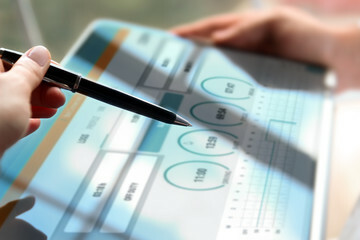 Upon completion of the test the screen will be displayed the correct answers and errors. Often students ask the same question: "Passing the exam in the traffic police as possible on wrong answers?». Exam is regarded as delivered, if the number of errors does not exceed two. In one further error is given examinee 5 issues, respectively, for 2 error – 10 additional items. The system selects from 4 theoretical blocks 5 issues, in this way, You need to respond to the student 20 issues. If he could not answer the question or made a mistake in the different blocks, then he is given another 5 additional questions and additional 5 minutes. In this way, if the student has made 2 error or did not respond to 2 question, he is given additional 10 questions and time 10 minutes. Passage of the theoretical part limited in time (no more 20 minutes). On the Internet there are many sites, where you can train in the answers to exam fees in the online mode. They repeat the exam in the traffic police. If you keep practicing, the probability of passing the practical exam the first time will be significantly higher. The rights and duties of drivers, pedestrians and passengers. 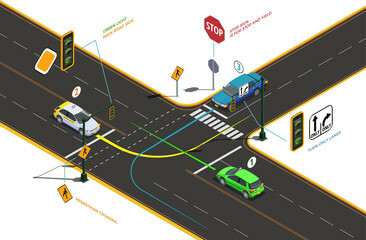 traffic signals and traffic controller. The order of movement and maneuvering, use alarms. Location of vehicles on the road. How to perform overtaking, oncoming traffic. Parking and stopping on the road. The use of lighting, Towing etc. How to provide first aid. It is also necessary to examine legislation on the safety requirements to the vehicle. If the theoretical examination is handed over, the results are stored for six months. So no need to retake it in these terms, if you do not put the practical stage of the general exam. Decreased the minimum age for the exams – now to the right citizens at the age from 16 years old. However, to achieve 18 years old, student requires the written consent of his representatives. In this way, successful passing of exams in the traffic police - it is choosing the right option in 18 issues (of 20 random). To prepare for the putting theory well enough to learn the tickets and thoughtfully respond to each task. Do not just memorize the right answers, because the questions will still be selected randomly. Important tip – when checking their knowledge, If you received a wrong answer, you need to carefully study the explanations and try to remember. 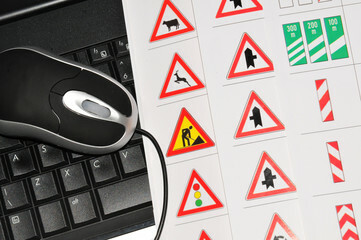 AND, of course, constant training and ticketing solution, parses responses and learning of traffic rules regulations. Make crib does not make sense. Memorization of the order of answers will not help, because the system will still be questions at random. In any case, passing the exam in the traffic police should be based on knowledge of the theory. So you can answer almost any question. Therefore, most of the time and effort should be directed precisely on memorizing rules. It is much more efficient, than the order of the responses for each ticket. Be sure to certification you need to rest and sleep. It is recommended to wear comfortable clothes and shoes. Each question requires attention and concentration. When choosing a computer response to press the desired key need as accurate. waving his arms, you can accidentally press the wrong button and make a mistake. During testing, it is best to be polite, quietly. No need to annoy and irritate inspectors. At the time of testing is necessary to turn off the phone, to sudden call not knocked thoughts. Before you select an answer, We need to find out about the ban or permit in question, pay attention to the particle "not" in matters. Very often, mistakes are made only because of negligence or accidentally pressing the wrong key. Even though, that the choice of the answer to the test question you need to press the button twice. Firstly, We need to answer those questions, in which there 100% confidence. In this way, the rest will have more time, to think about the answer. It is not allowed to behave provocatively, talk loudly and distract other participants. If you experience problems, you can raise your hand and silently beckon examiner. Calm and restraint should be seen not only in the theoretical exam, but then it. In some cases, are graded "not passed"
Admitted a total of more 2 errors. A mistake in the additional block of questions. Recorded the fact of receiving tips from other test takers or the use of Cribs in any media. Exam in the traffic police in this case should be. The refusal of the candidate to undergo examination. When you receive a driver's license do not need to cram. In total, the tests contain about 2000 issues, keep them in the memory of it is very difficult. The easiest way to think about the meaning, to study the situation and analyze the correct answer keys. Absenteeism in a driving school. Of course, for full details you need to attend all lectures and classes. Of course, there are illegal ways to get a driver's license. On different sites offer purchase documents. The cost ranges from 20 000 to 60 000 rubles. Such illegal schemes of documents, buying a driver's license is a felony. Apart from the risk to their own lives, a driver will endanger the health and lives of pedestrians, other car owners. Accidents may occur due to him, in which the affected people. In modern cities quite a difficult situation on the roads. Even experienced drivers can be difficult to navigate. With the passage of the training course, students not only receive a document, he gains confidence and peace of mind on the road. Every future car owner should keep in mind that, that the responsibility for the life and health of people around the bears, who is behind the wheel. How to pass the exam in the traffic police on the first try?